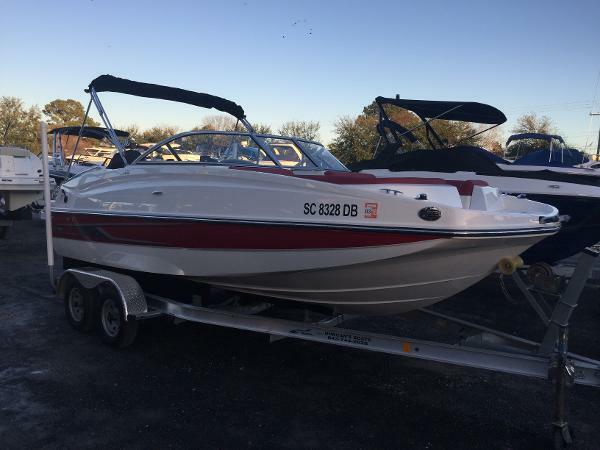 2014 Bayliner 190 Deck Boat ***PRICE REDUCED***This is an awesome deck boat with low, low, low hours on the 4 stroke Mercury 115hp outboard. Watch the YouTube video on the link below for a complete walkthrough of this vessel. 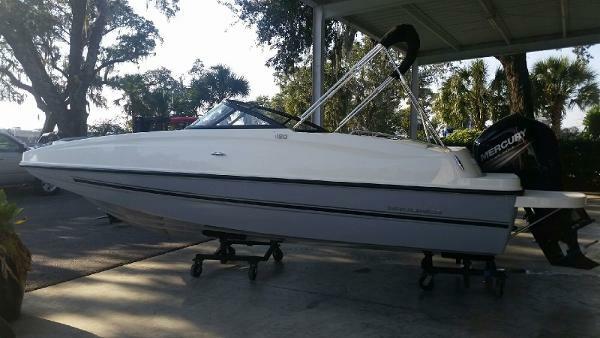 This is a great all around boat whether for a day on the water with the family or a day fishing with your friends. 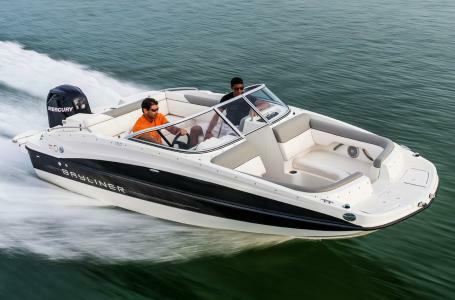 Mercury 4 stroke 115 HP only has 55 hours on it and comes with an extended warranty until 2019. 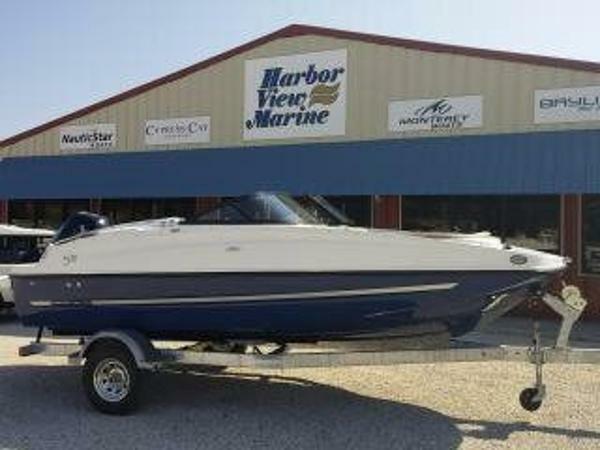 Boat includes trailer, JVC stereo, Garmin 44DV fishfinder/depth sounder/chart plotter, portable potty with enclosed closet, all covers, all life jackets, cooler, lines, fenders, GB40 Boost+ Jump Starter, and much much more. Turn key, this ones ready to go! Relocating and can't take boat. Must sell. My loss is your gain. Serious inquiries only. Priced to sell. 2017 Bayliner 190 Deck Boat 2017 Bayliner 190 Deck Boat with four stroke Mercury 150 hp. This boat is nicely equipped with a bimini top w/ privacy curtain, stainless steel upgrade package, Graphite interior, cockpit carpet, full windshield, and stereo system. Price does not include a, tax, or registration. The 190's customizable under-seat storage includes smart dividers to partition gear. Fuel-efficient Mercury outboard power gets the 190 up on plane fast, even with the maximum crew of 11 onboard. "Pontoon style" seating offers a plush and comfortable cruising environment. Plus, multiple available floorplans and special packages spell versatility: choose between standard windscreen and optional wraparound windshield configurations. 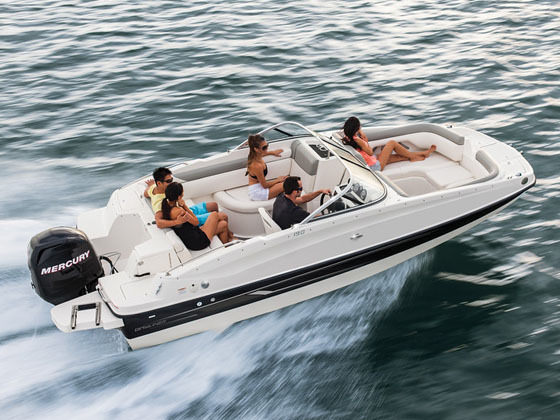 Far from basic, this entry-level design brings all the room, value and performance you need to enjoy the days on the water you crave. Fuel-efficient Mercury outboard power gets you up on plane fast - even with a maximum crew of 11 onboard. Comfortable, spacious seating provides a enjoyable cruising environment. Abundant dry storage keeps gear protected and specialized optional features give you maximum versatility from water sports to fishingfor all the capacity you'll ever need. Key Features Fuel-efficient Mercury outboard power. Multiple floorplans available: choose standard windscreen or optional wraparound windshield. 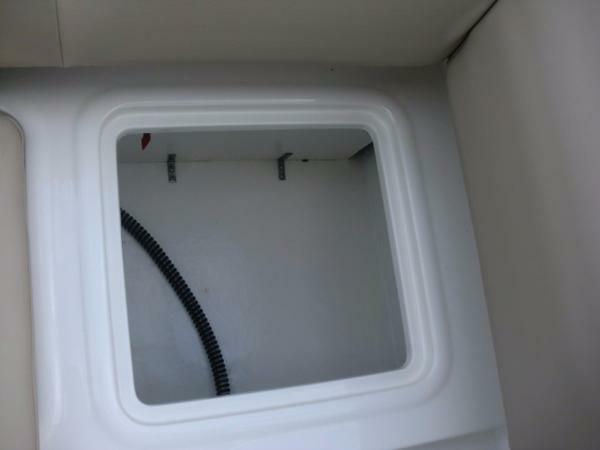 Innovative portside storage with tote may be replaced with an optional head with privacy curtain. "Pontoon style" seating offers a plush and comfortable cruising environment. 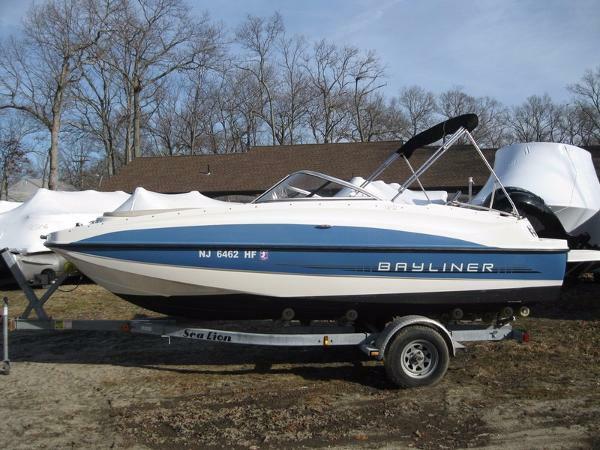 2013 Bayliner 190 Deck Boat MERCURY 150 HP 4 STROKE 2013 Bayliner 190 Deck Boat Mercury 150 hp (4stroke) Outboard Bayliner's all-new entry-level Deck Boat is far from basic. The 190's customizable under-seat storage includes smart dividers to partition gear. Fuel-efficient Mercury outboard power gets the 190 up on plane fast, even with the maximum crew of 11 onboard. "Pontoon style" seating offers a plush and comfortable cruising environment. Plus, multiple available floorplans and special packages spell versatility: choose between standard windscreen and optional wraparound windshield configurations; select Bayliner's Flight Series or Fish Package to outfit the 190 for your favorite on-water pastime. 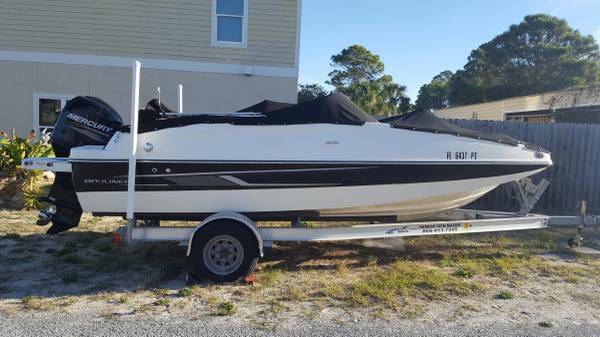 This is a unique Deckboat w/ a 150hp 4 stroke motor, clean & ready for the water!This boat comes with: Mercury 150 hp (4stroke) Sea Lion Roller Trailer Bimini Top This is a really nice Fish/Ski Deckboat w/a Mercury 150 hp motor(4 stoke)! 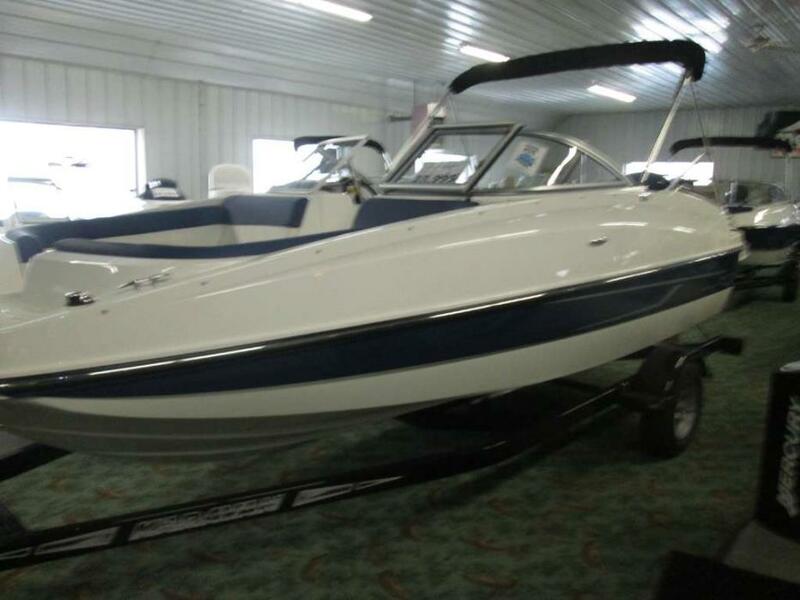 2017 Bayliner 190 Deck Boat ADDITIONAL DISCOUNTS WILL APPLY! HURRY SALE ENDS SOON! 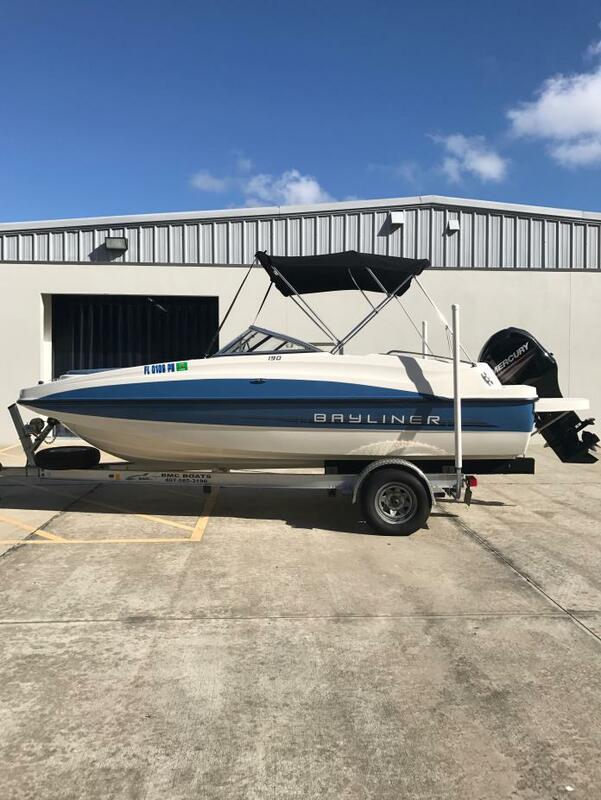 THIS NEW BOAT PACKAGE INCLUDES: 2017 BAYLINER 190DB, MERCURY 115 EXLPT CT 4STROKE, KARAVAN BUNK TRAILER, SKI TOW PYLON, STAINLESS STEEL UPGRADE PACKAGE, DESERT SAND INTERIOR EXCHANGE, BIMINI TOP W/BOOT & PRIVACY CURTAIN, BOW WELL AND COCKPIT COVER, COCKPIT CARPET RUNNERS, PORTABLE HEAD, FULL WINDSHIELD W/OPENING CENTER PANEL, AUTOMATIC BILGE PUMP, TRAILER TIE DOWNS, AND STARTING BATTERY. CALL MARINE SALES @ 920-788-0220 FOR YOUR BEST DEAL! 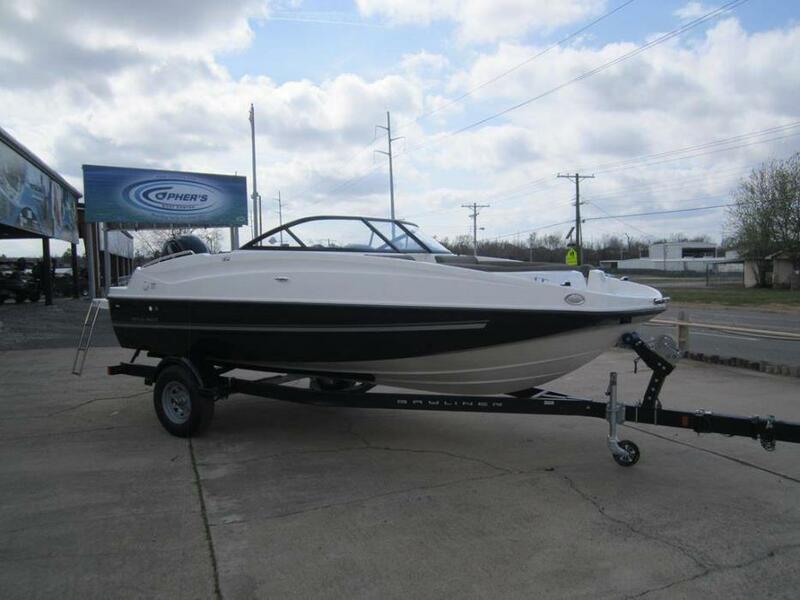 2015 Bayliner 190 Deck Boat This Bayliner 190 Deck Boat is in excellent condition with only 34 hours. Owner to busy to enjoy her. 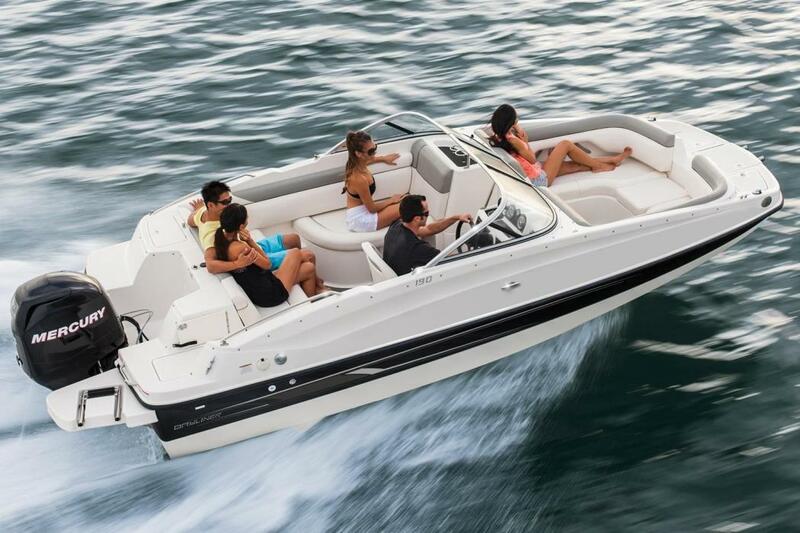 Get a nearly NEW boat with lots of great features for less than new. 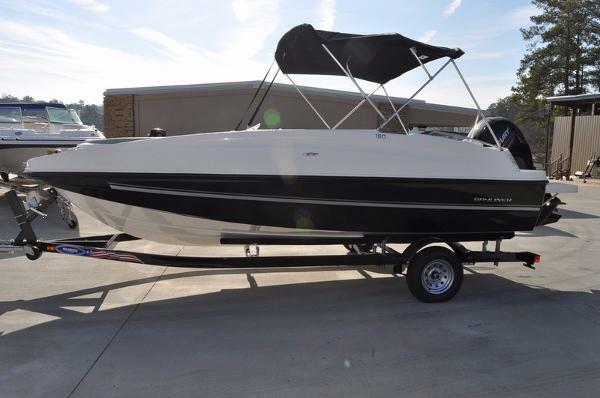 She is equipped with 115 Mercury four stroke, bimini top, fishing package (fish finder, casting deck plates, rod holders, live well), full windshield, ski tow bar and tandem aluminum trailer with brakes. It has Mercury warranty through 02/18/18. 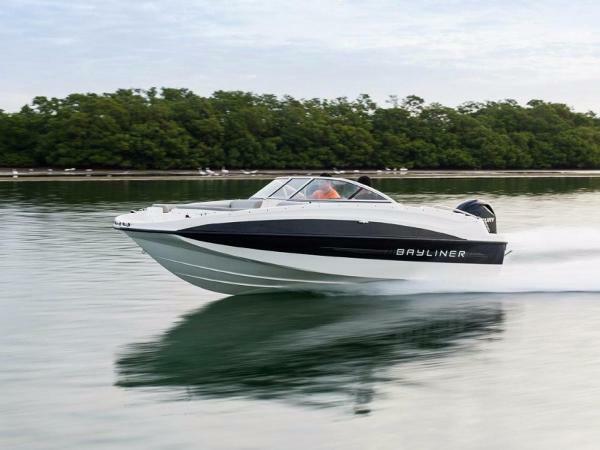 2017 Bayliner 190 Deck Boat This new Bayliner 190 Deck Boat is grey and has the 115 Mercury four stroke engine and includes bimini top, ski tow pylon, full windshield, digital depth finder, transom shower and auto float switch. Far from basic, this entry-level design brings all the room, value and performance you need to enjoy the days on the water you crave. Fuel-efficient Mercury outboard power gets you up on plane fast - even with a maximum crew of 11 onboard. Comfortable, spacious seating provides a enjoyable cruising environment. Abundant dry storage keeps gear protected and specialized optional features give you maximum versatility from water sports to fishingfor all the capacity you'll ever need.